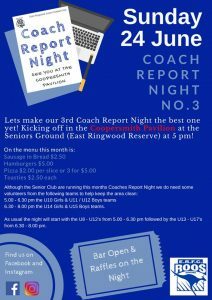 3rd 2018 Coach Report Night Sunday 24 June from 5pm at our Senior Ground (East Ringwood Reserve) – Come join the FUN! 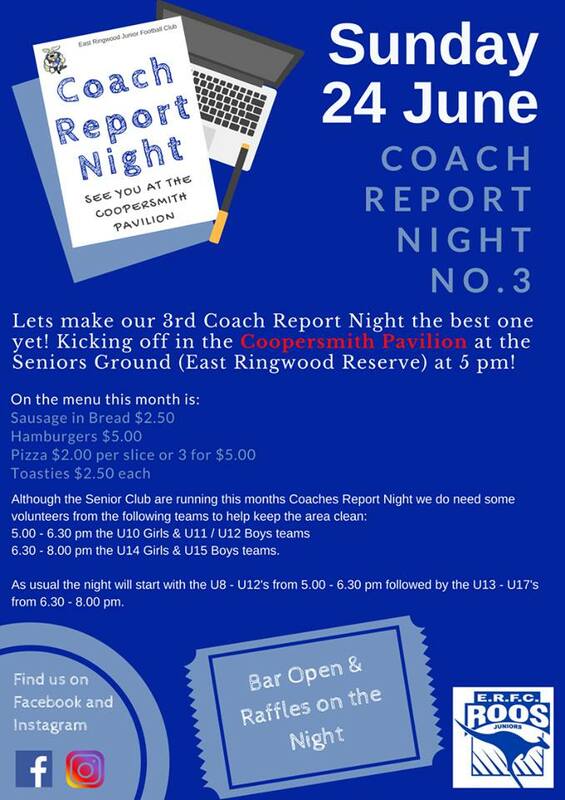 This Sunday night is the 3rd Coach Report Night for the year. Come and listen to our Coach Reports from all age groups, enjoy a feed and catch up with fellow parents starting at 5pm. CONGRATULATIONS to Wil Parker, Tyler Charlton and Brodie Horsley - all in the Eastern Ranges Under 16 Team! No Replies to "3rd 2018 Coach Report Night Sunday 24 June from 5pm at our Senior Ground (East Ringwood Reserve) - Come join the FUN!"